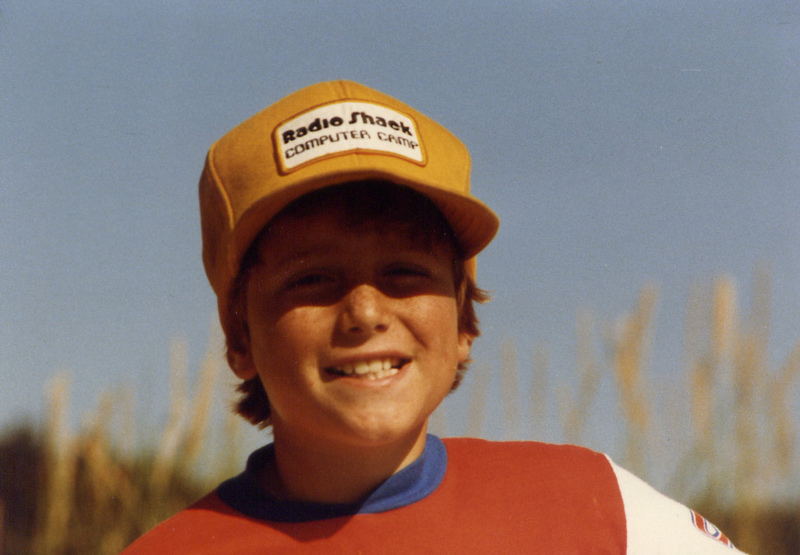 The kid is Stewart Butterfield. 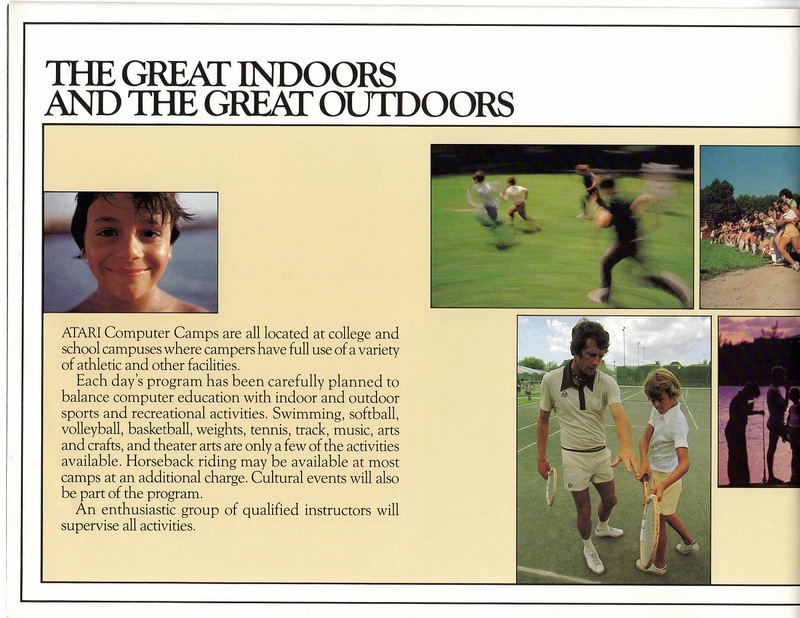 From what I’ve read, “camp” was a room in the back of select stores. 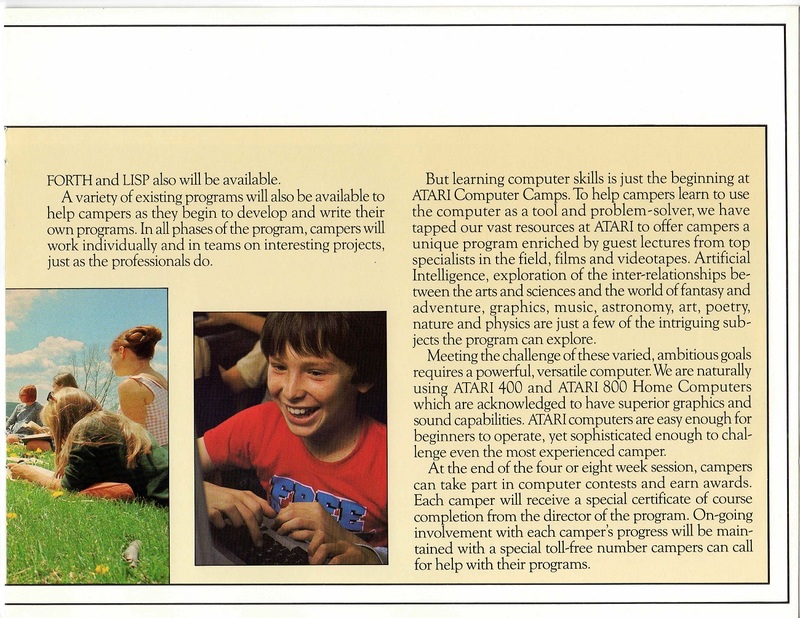 The younger kids (8 to 11) learned Logo, and the older kids (12 to 15) learned BASIC. RadioShack filed for bankruptcy in February of this year. 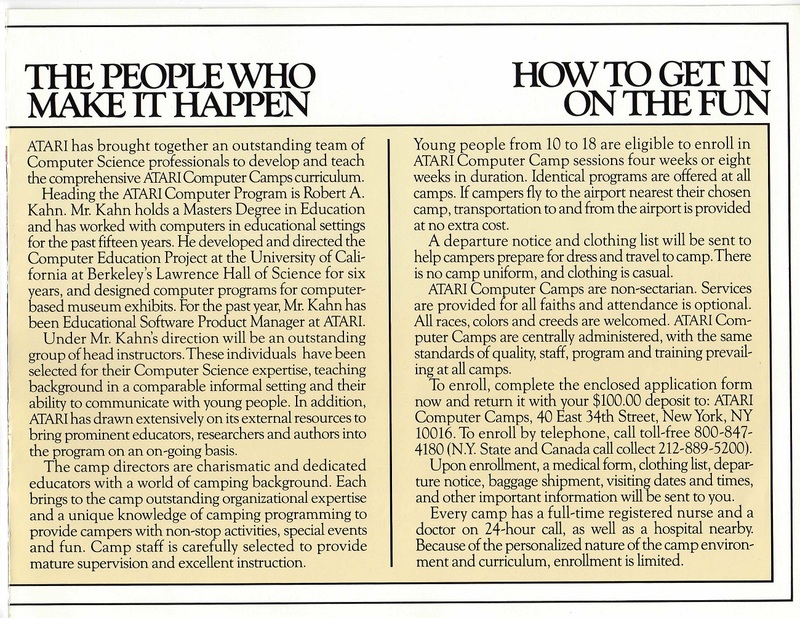 More, including daily schedule and newspaper/magazine articles about adult computer camp, at Robert A. Kahn & Associates. 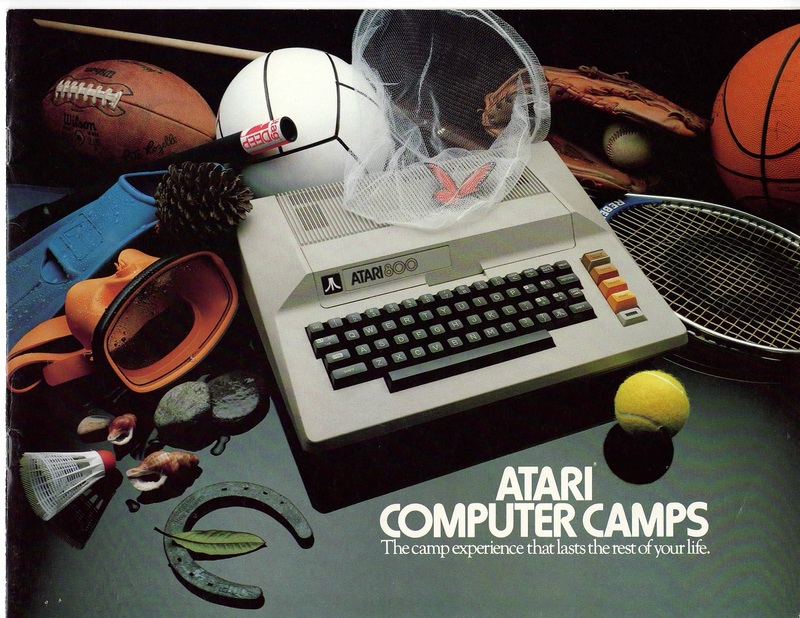 I don’t know about you, but I’m not getting on a boat that’s being “sailed” by an Atari 800. 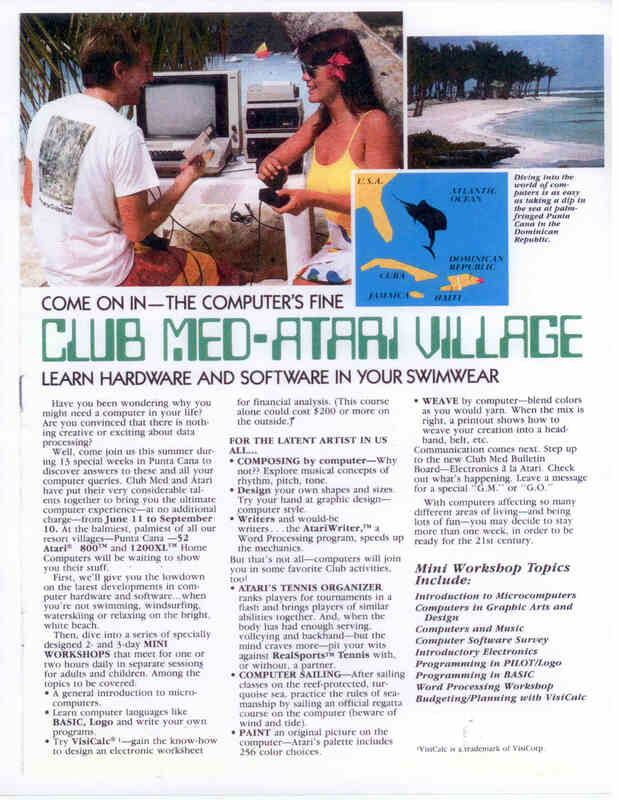 Atari ad execs really enjoyed word play on ‘hardware’ and ‘software’. 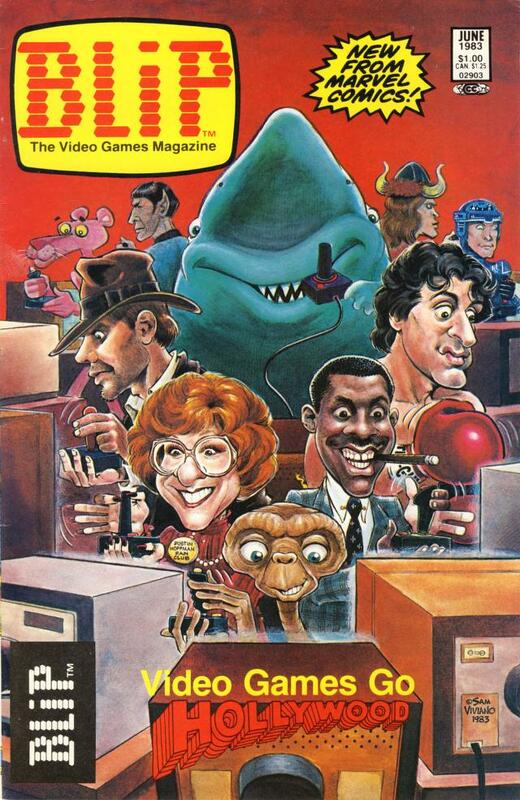 Blip was Marvel’s short-lived—seven issues only—foray into the video game world. 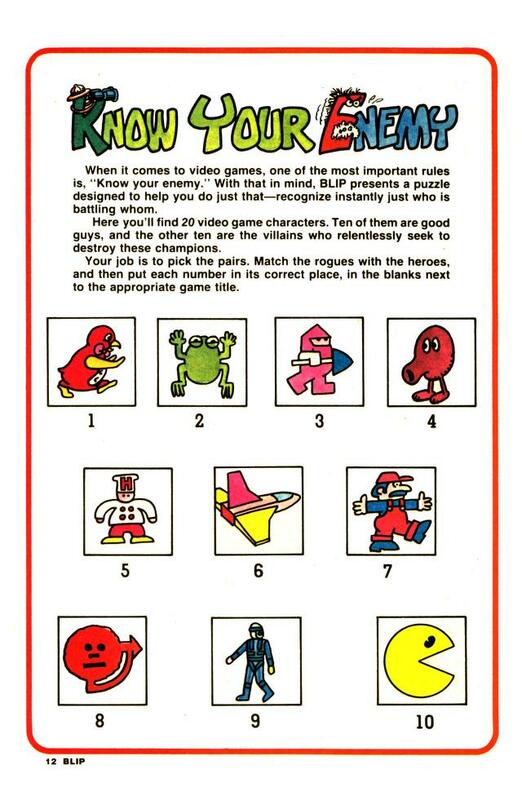 It was colorful but silly, printed on comic stock and marketed to younger kids. 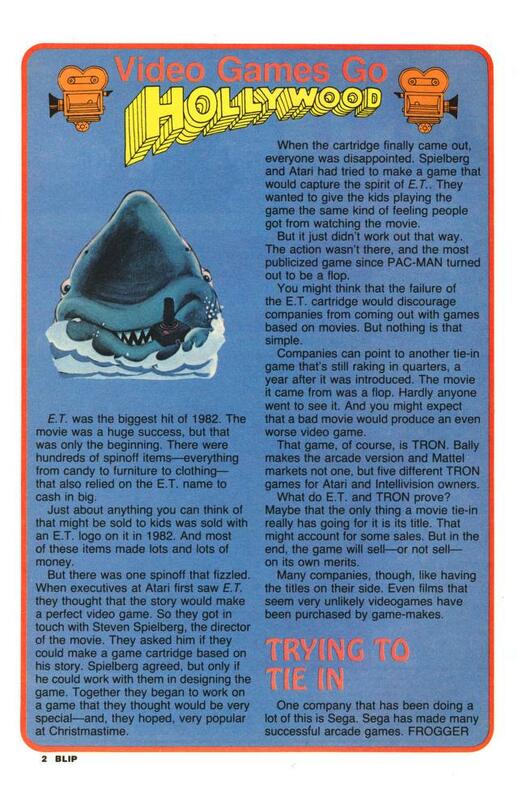 Page two talks about the development of Atari’s E.T., and refers to TRON (the movie) as a “flop.” Ripping every gamer’s favorite flick was probably not a good idea. 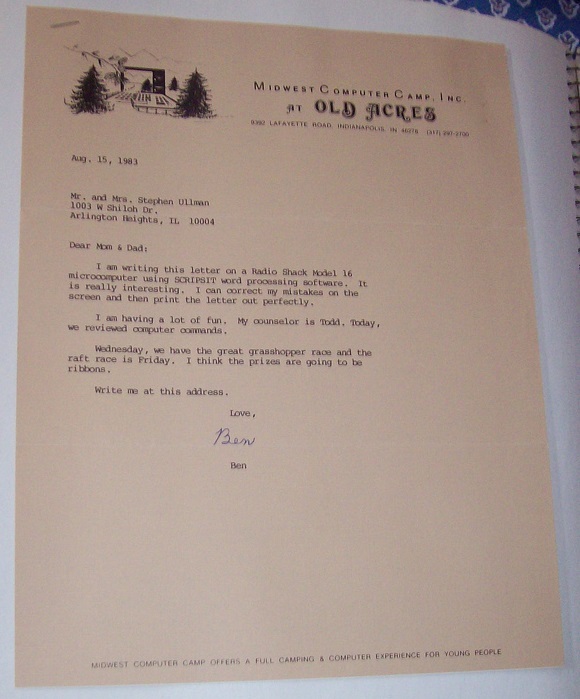 The activity on pages 12 and 13 is representative of the entire run. 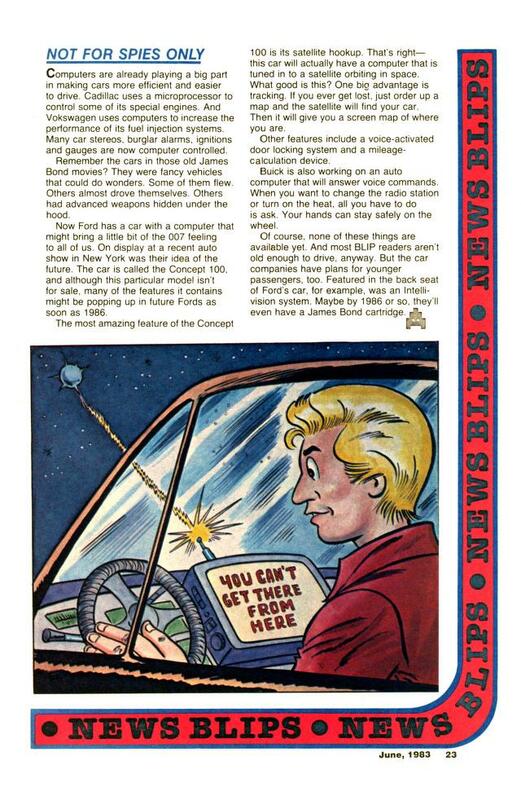 Kids of every age would have found it condescending. 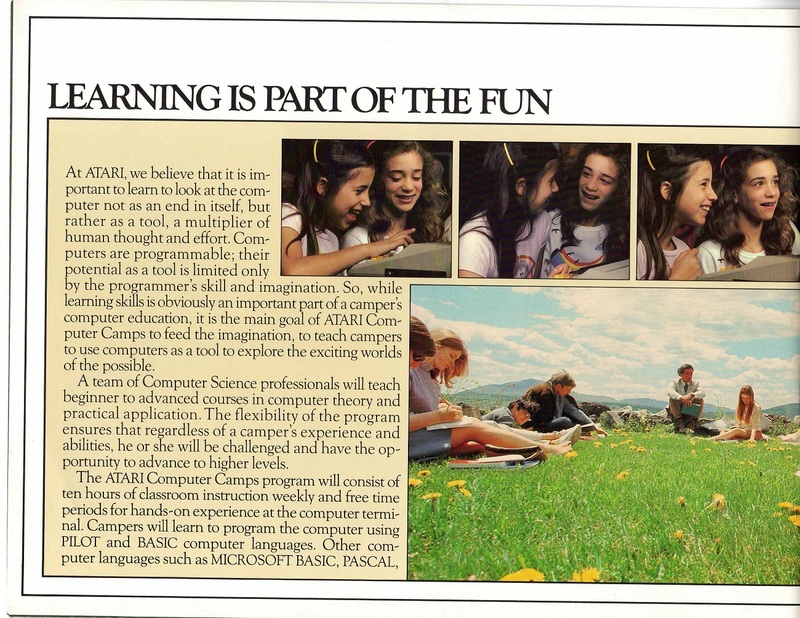 Pages 14 and 16 are about computer camp, one of my favorite subjects. 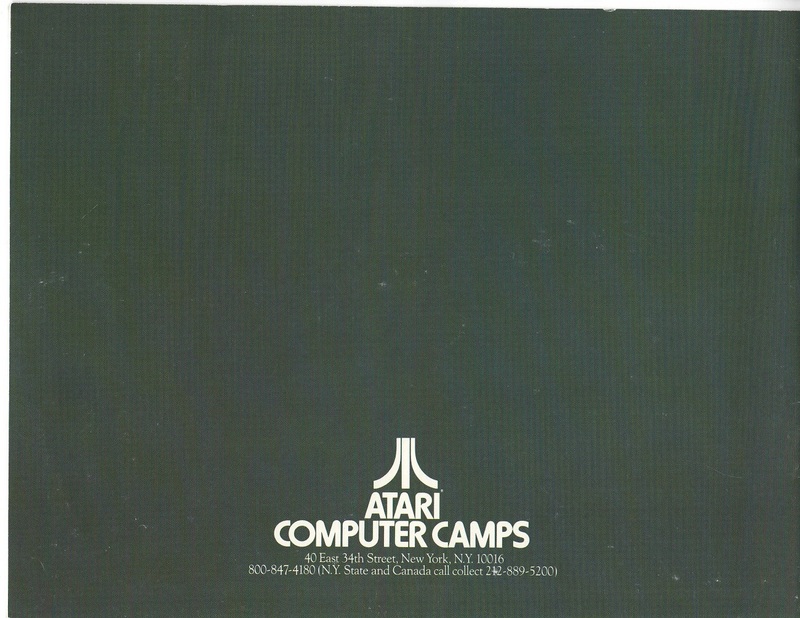 I wrote about the Atari camp here. 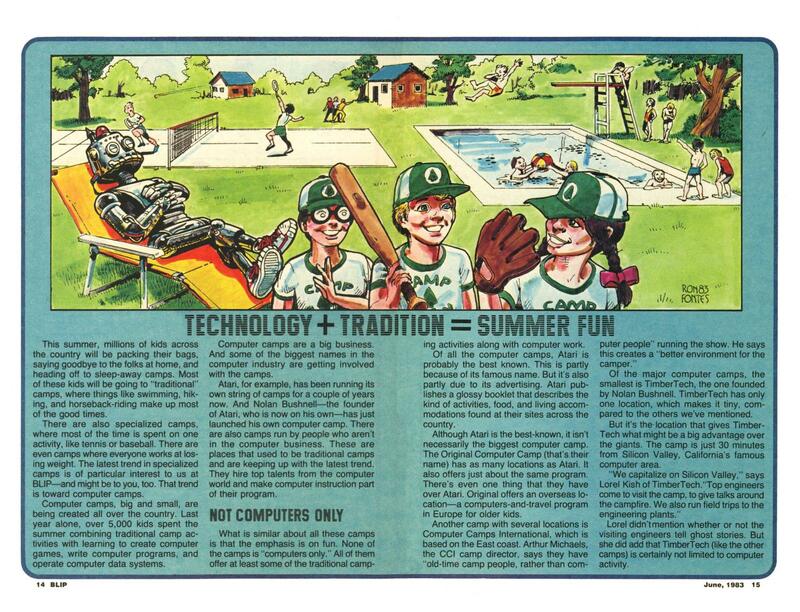 I love the robot on the lawn chair, even though it’s a clunky (pun intended) metaphor. 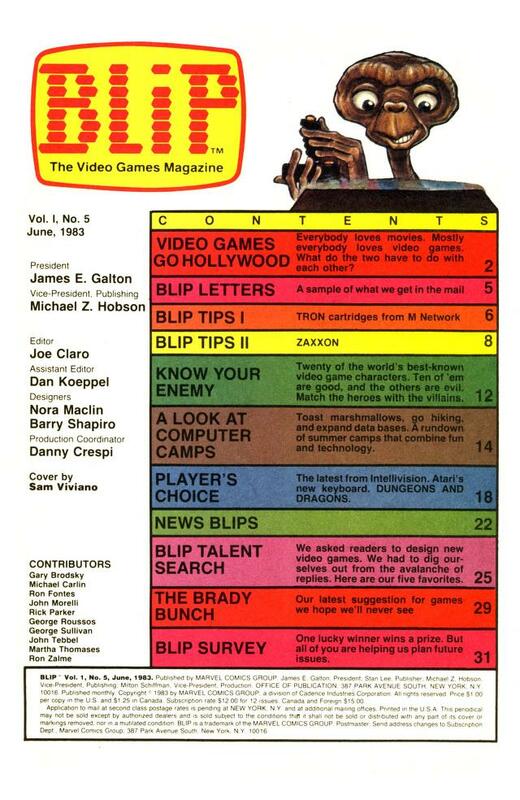 And, if you weren’t feeling old enough already, how about the “News Blips” on page 23? Read the whole issue, and the whole run, at archive.org. 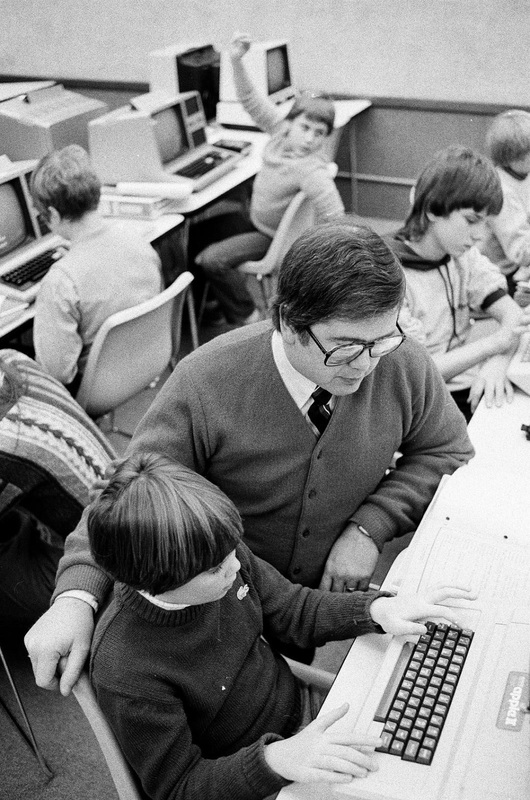 A computer day camp in Chicago, December, 1979. 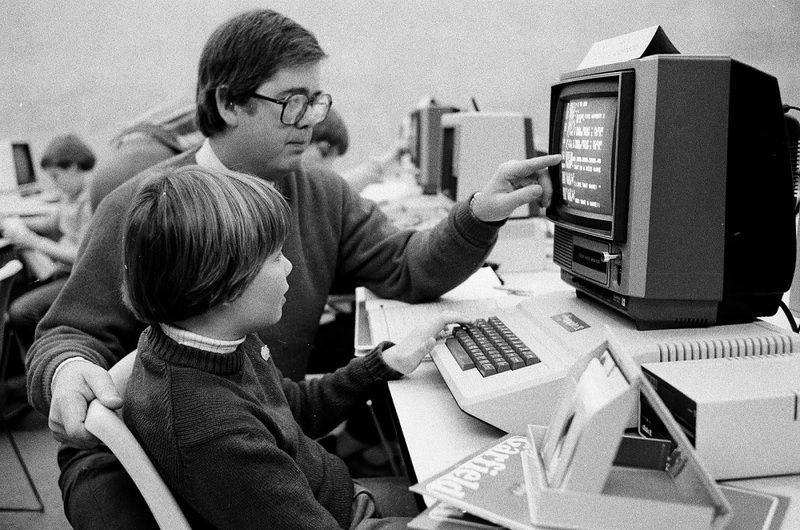 PCs on display include the Apple II, the TRS-80, and the TI-99/4. 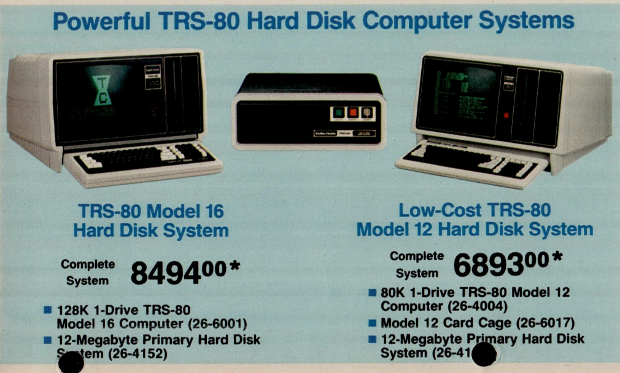 The latter was brand new at the time. 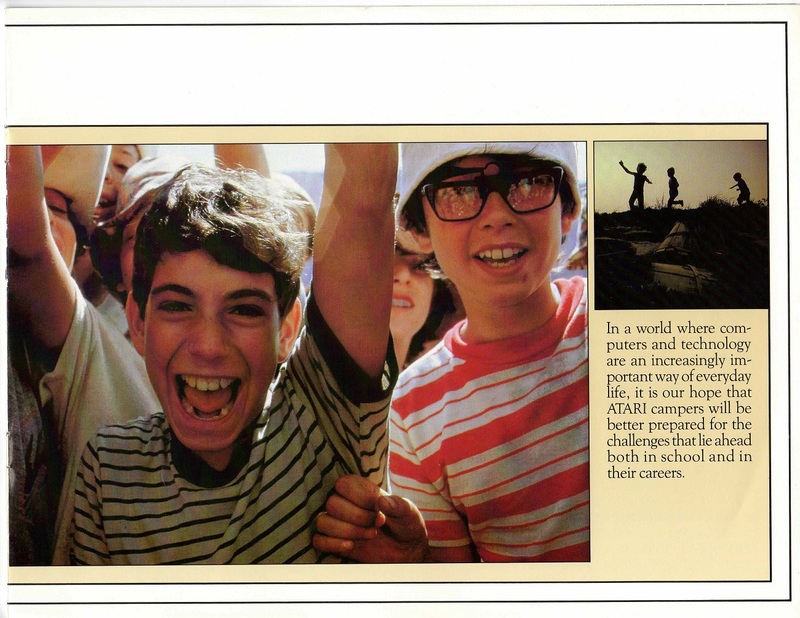 There’s another one I can’t identify to the right of the kid raising his hand. 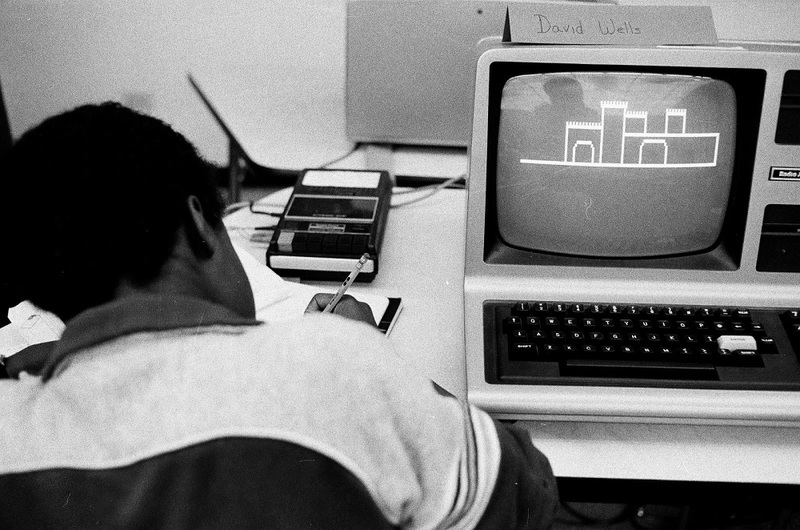 It looks a little like a Commodore PET. 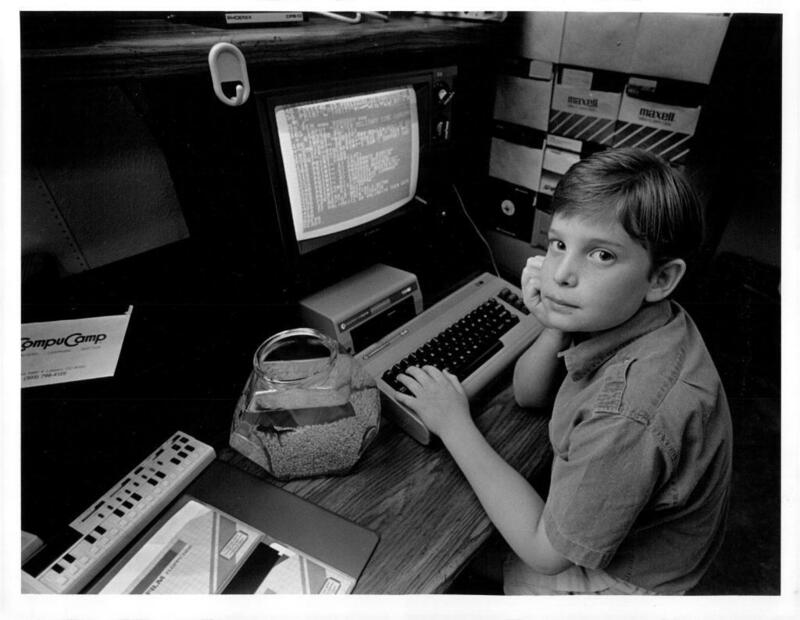 Note the Garfield notebook in the first shot, and the BASIC code in the second. 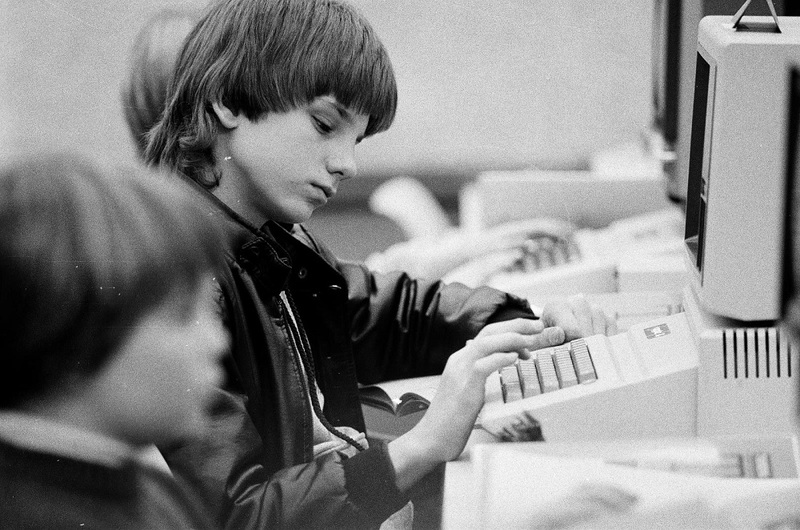 The kid typing the code (you can read all of it starting with line 95) is wearing an Izod sweater. 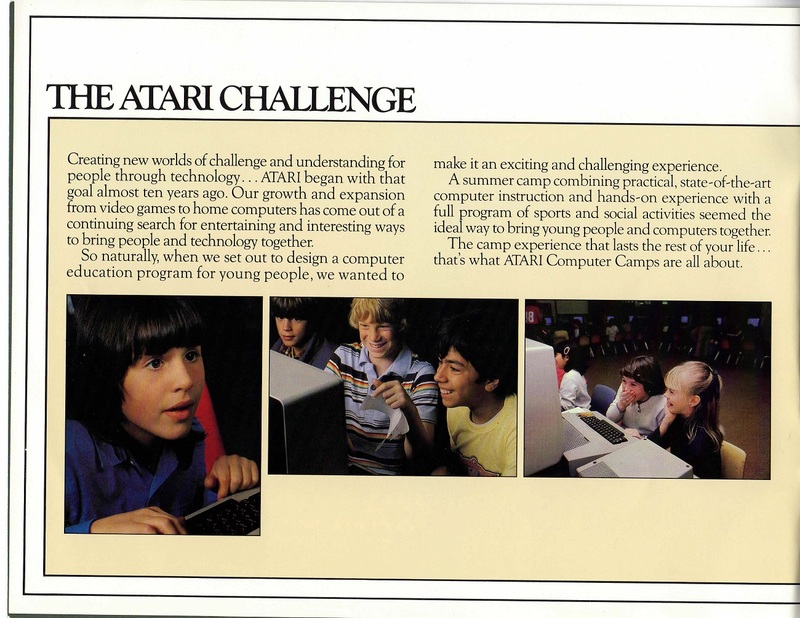 Terrific all-around coverage of an early lab and the kids who got to use it. This beauty is from Ben Ullman’s Flickr. 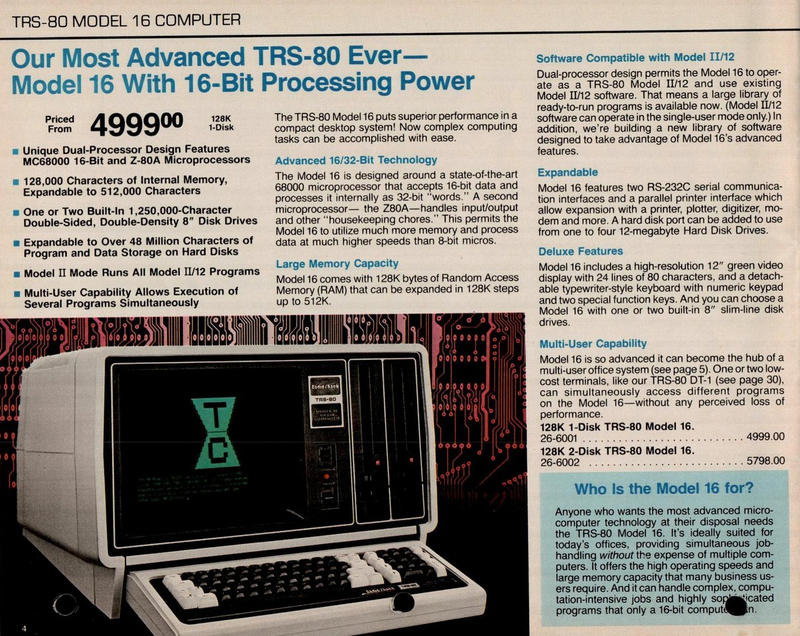 The “microcomputer” he’s talking about is a TRS-80 Model 16, a pretty sophisticated (for the time) business system that sold for $5,000 when released in 1983. 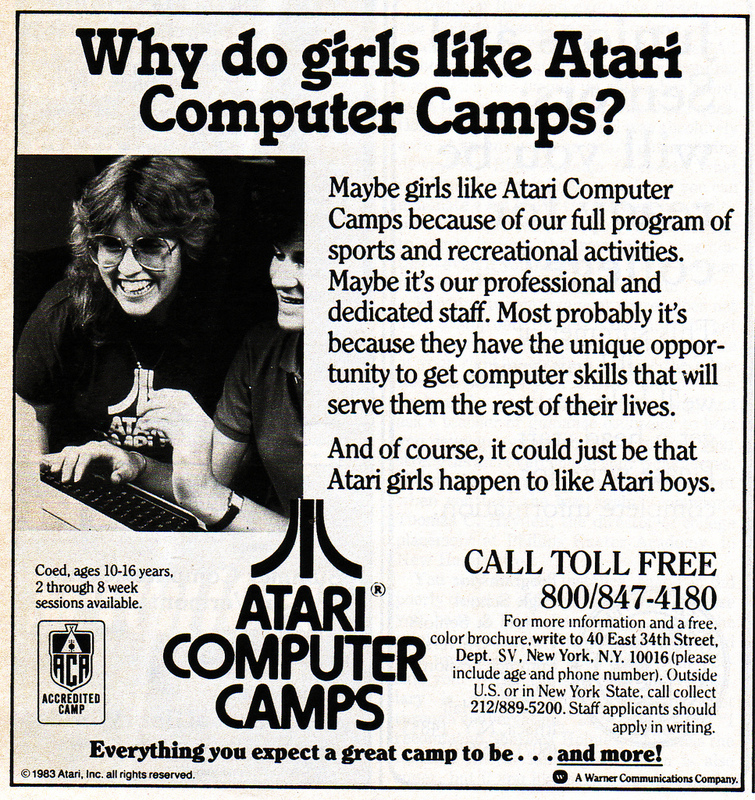 With peripherals, it was a lot more. 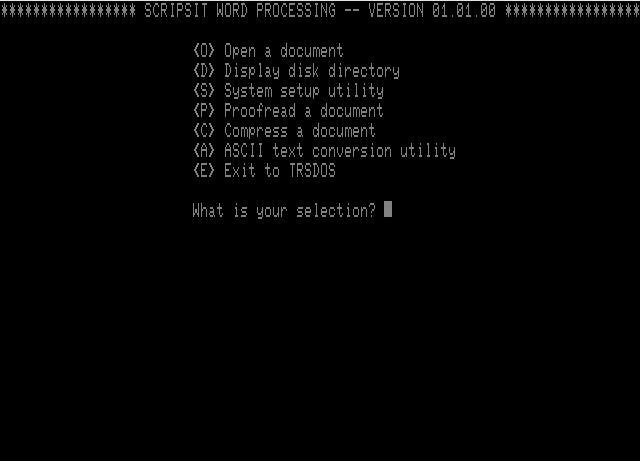 Here’s the main menu for Scripsit, the word processing program written for the TRS-80s. 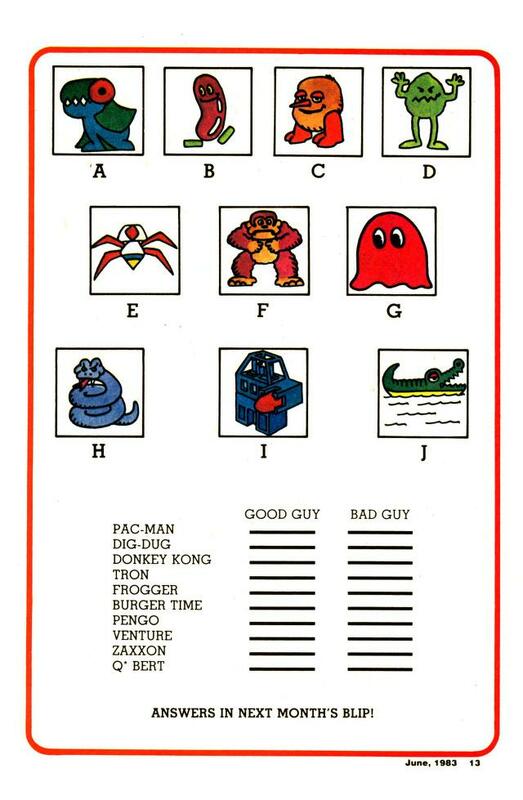 “I can correct my mistakes on the screen and then print the letter out perfectly.” That line really gets me. 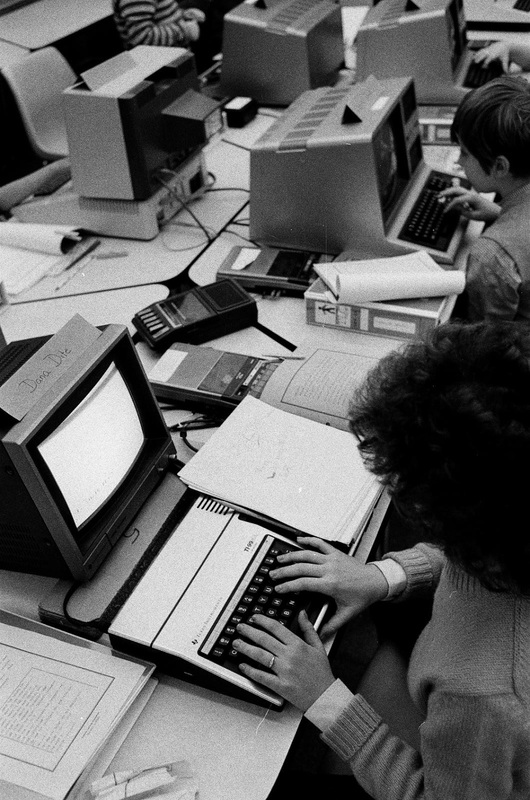 It’s hard to imagine now, but what we take for granted as the most basic of conveniences was not very long ago a revolutionary event, as anyone who’s ever had to use a typewriter can tell you. These days, the suggestion that we correct what we type/text carries the stink of fanaticism, and hard copies are simply food for the shredder. I hope you snagged a ribbon at one of the races, Ben. 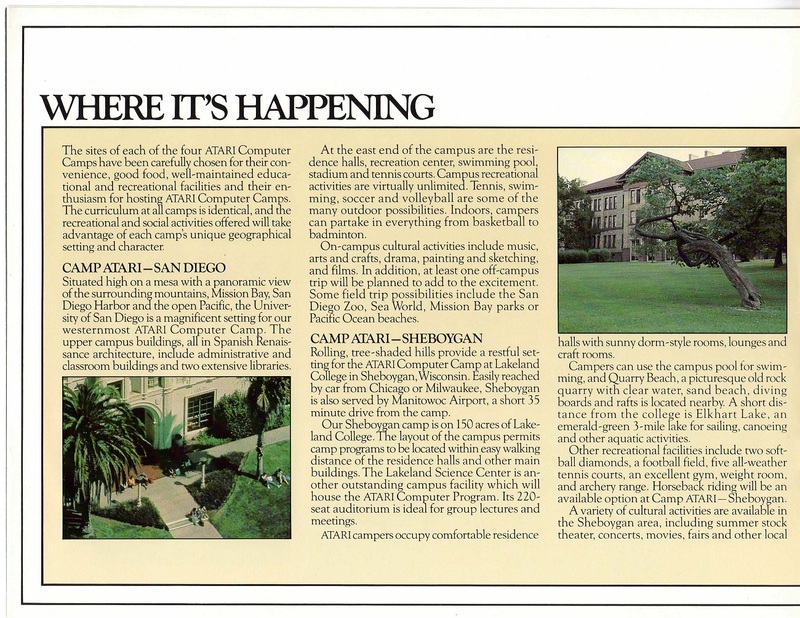 Old Acres sounds like a nice place to spend the summer. 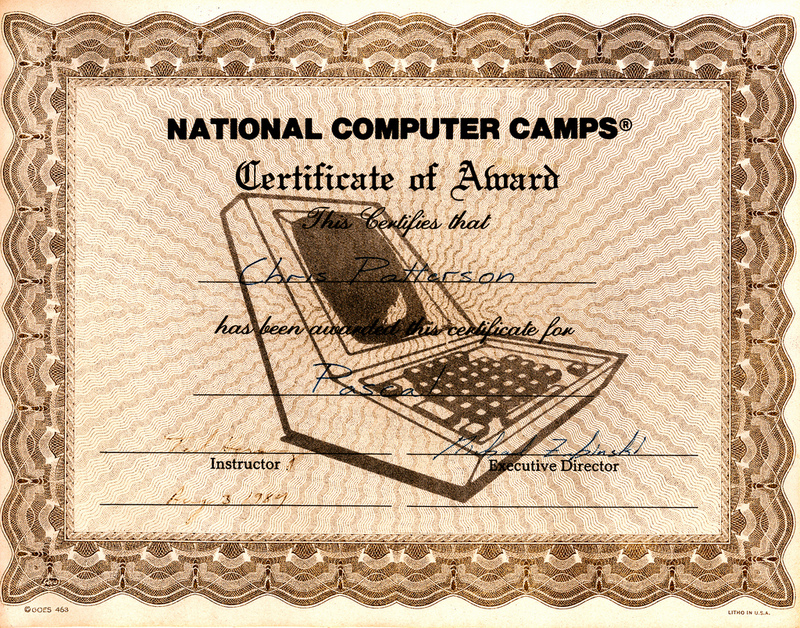 Dimmerswitch, the lucky recipient of this awesome certificate, says it was awarded in 1981. Pascal was serious business! 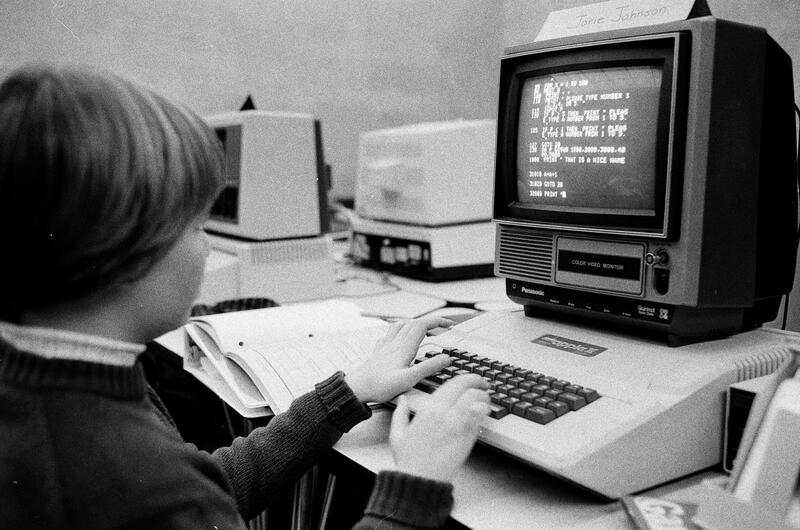 I couldn’t even hack BASIC. Via debbykratky/Flickr. 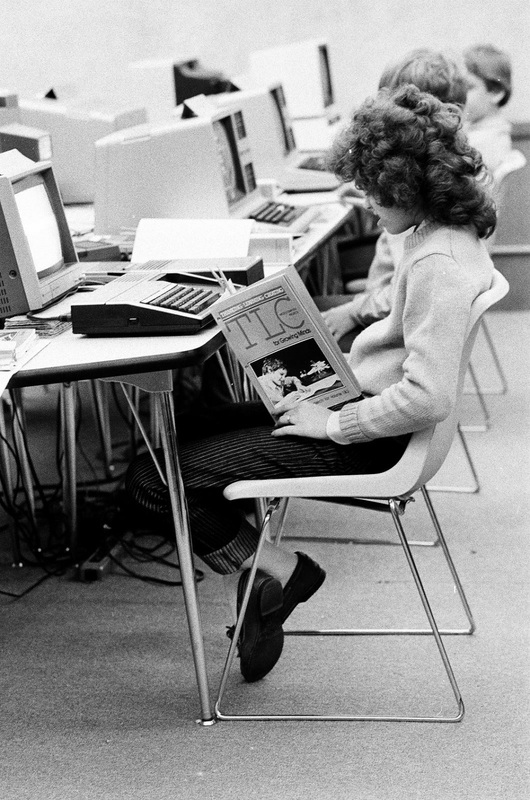 I do believe that’s my dream computer, the IBM PC XT, which came out in 1983. 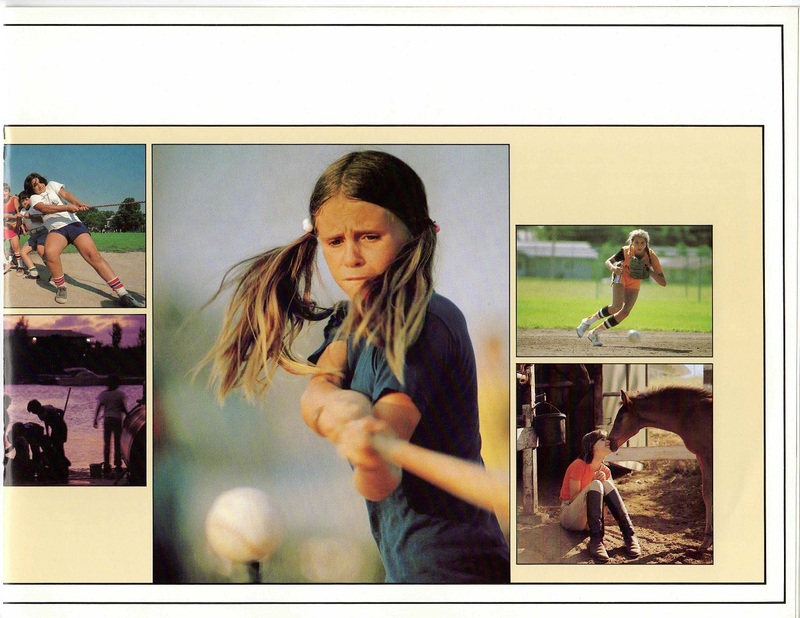 Classic 1983 ads via Laura Moncur’s Flickr. 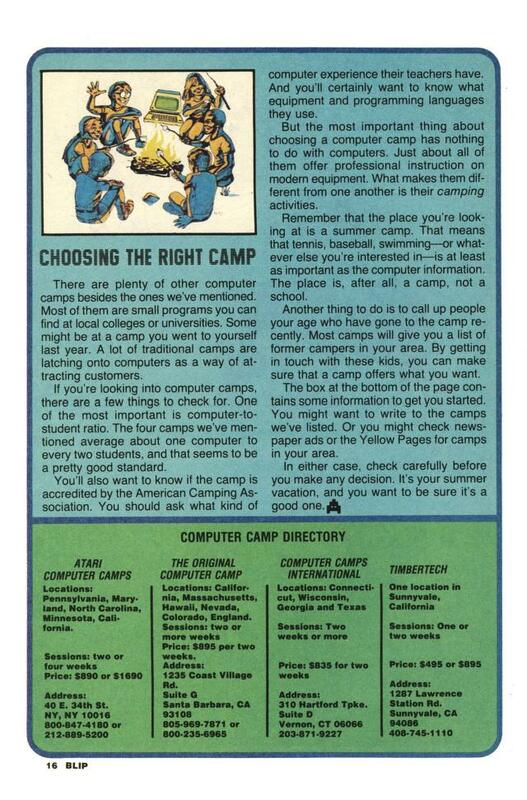 Laura also found an article in Atari’s Antic magazine called “Computer Camp: Report from the Old West” that describes the camps in detail. 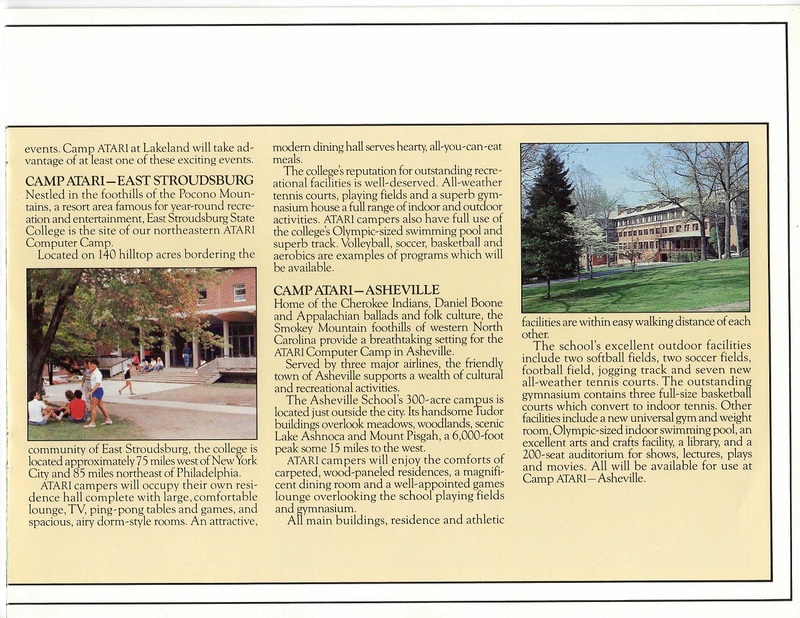 Campers paid $890 for a two-week session and $425 for each additional week, up to a total of 8 weeks. But if you stayed the whole 8 weeks you got a tuition break and paid the one time, low, low price of $2999. Don’t forget to bring your transportable cellular phone system, kids! You’ll need to call mom if you lose your Snoopy doll. 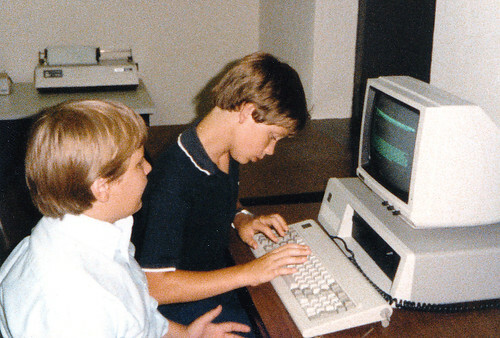 We also had a whole group playing Dungeons and Dragons… Not on the computer, but the original game. 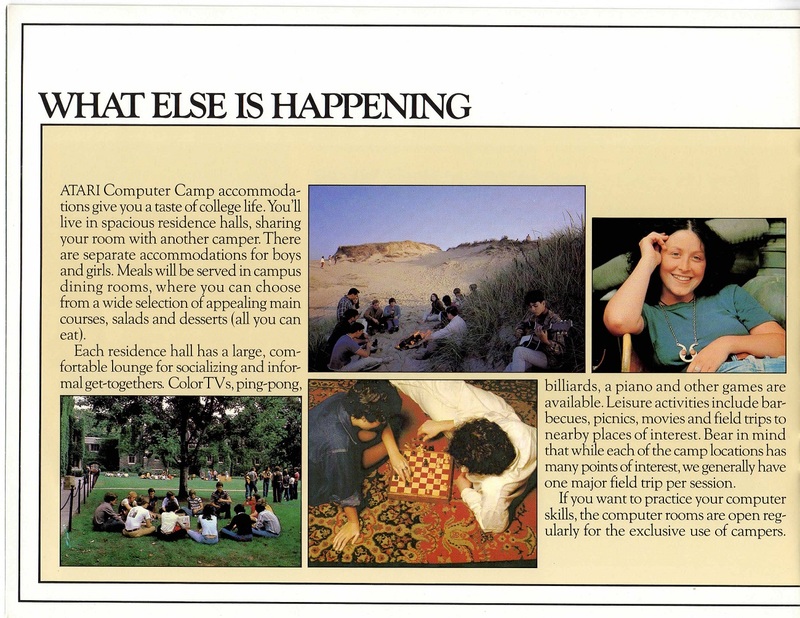 One of the counselors really knows that game and played Dungeon-master. I think that goes along with the kind of child who comes here. I think you’re right, Marlene.